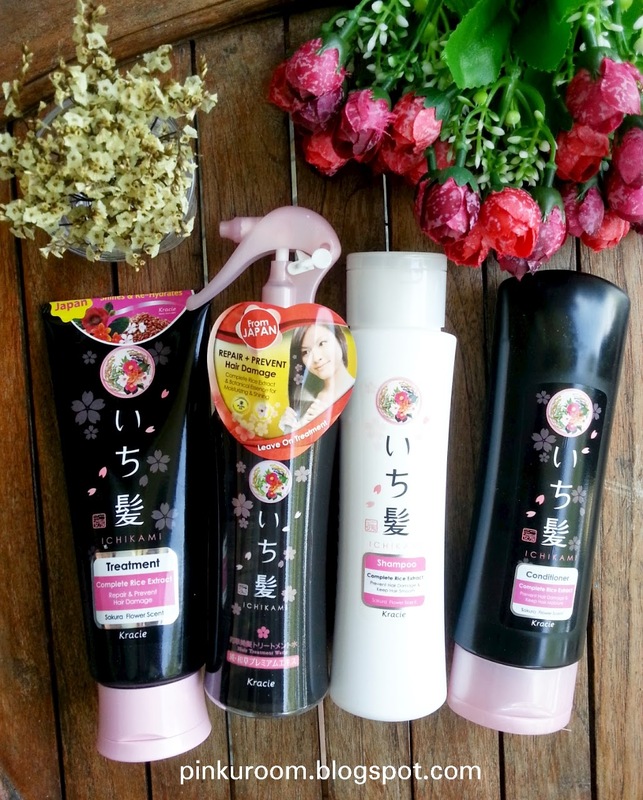 Today I want to review Kracie Ichikami product range that I got from Kawaii beauty japan. 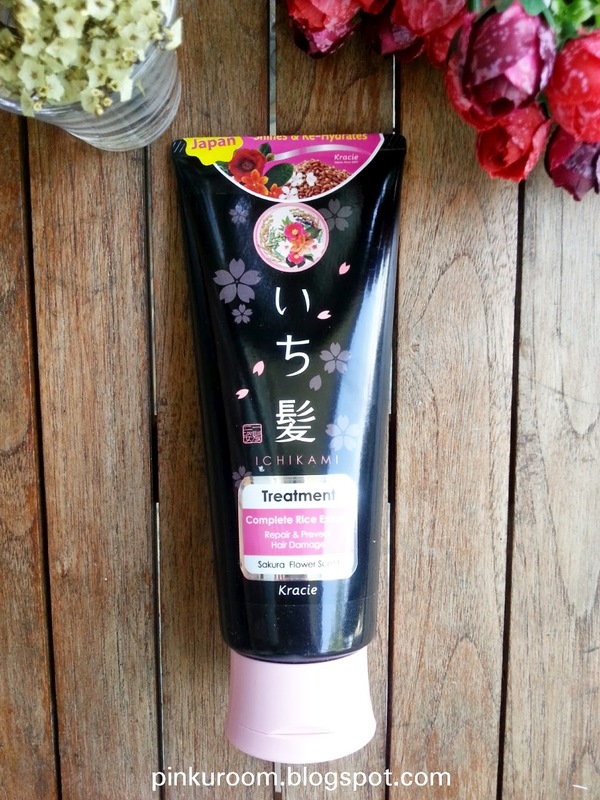 Ichikami is a hair treatment product brand with quality that fits with japanese woman hair and asian generally. 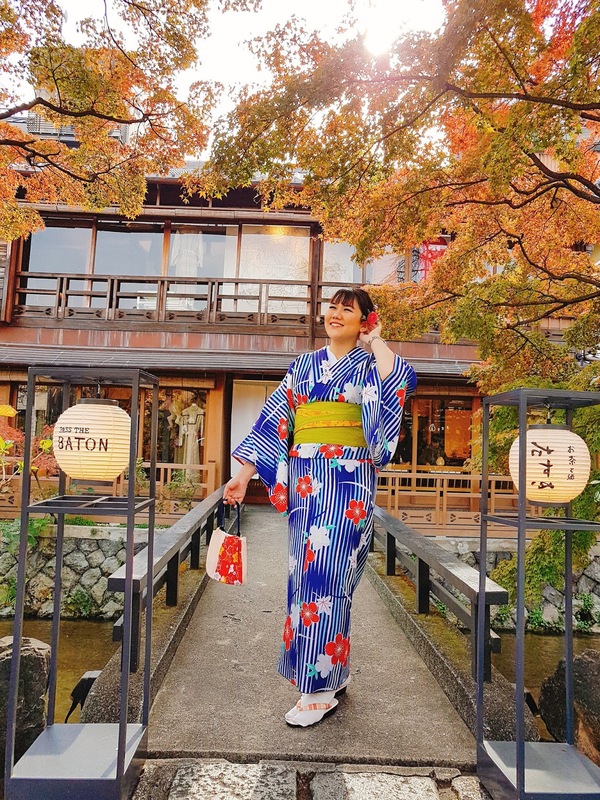 All the products contains : premium rice extract, soapberry flower, camellia extrac, sakura extract, black\gluten rice extract, blackberry lily flower, and olive oil. 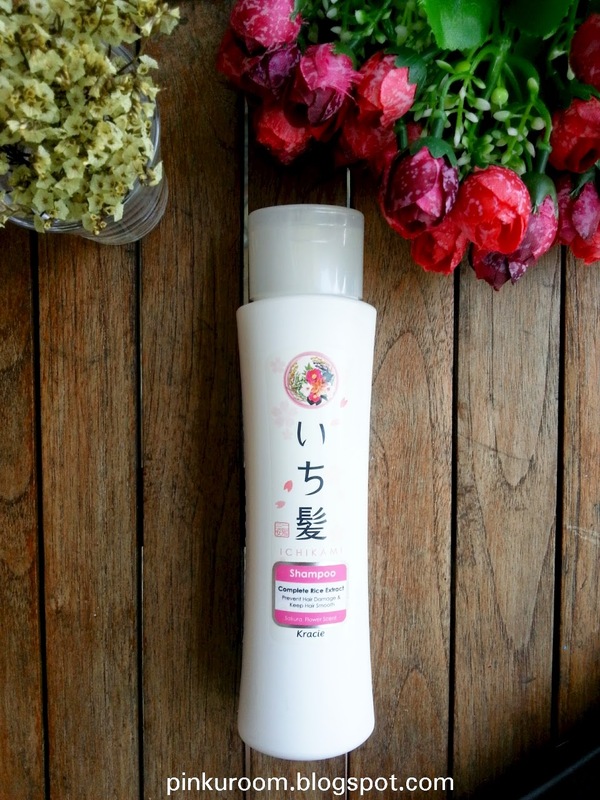 The shampoo, conditioner, and treatment has brown rice extract to soften your hair. 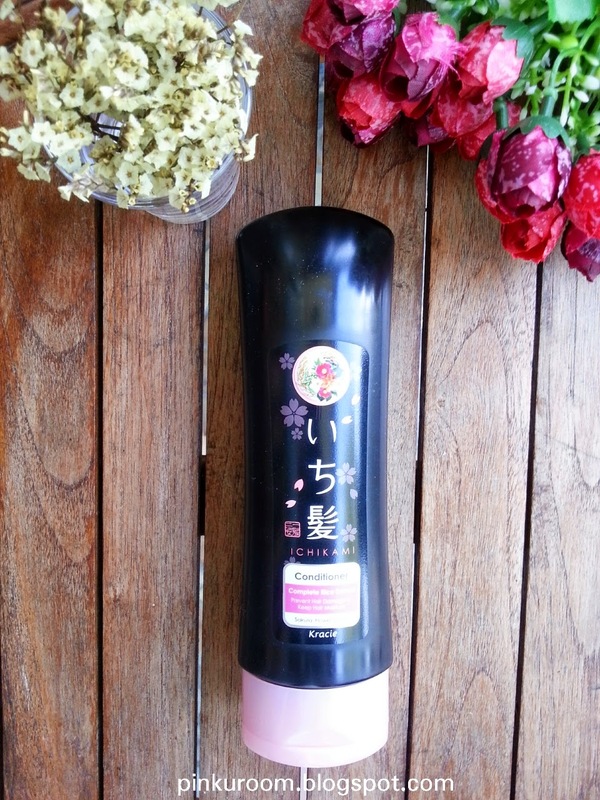 All the products smells like sakura flower and I like it :) it's not too strong, soft, and relaxing. The conditioner packaging is black. I got the 200gr size but it has the 530gr size too like the shampoo. This conditioner works well on my hair, makes it softer and not too dry like before since I already dyed my hair 3 times in a week just to get the color I want (don't try this at home, lol). The treatment is in tube packaging contains 200gr. This one has creamy form like facial foam (?) haha and works like hair mask. 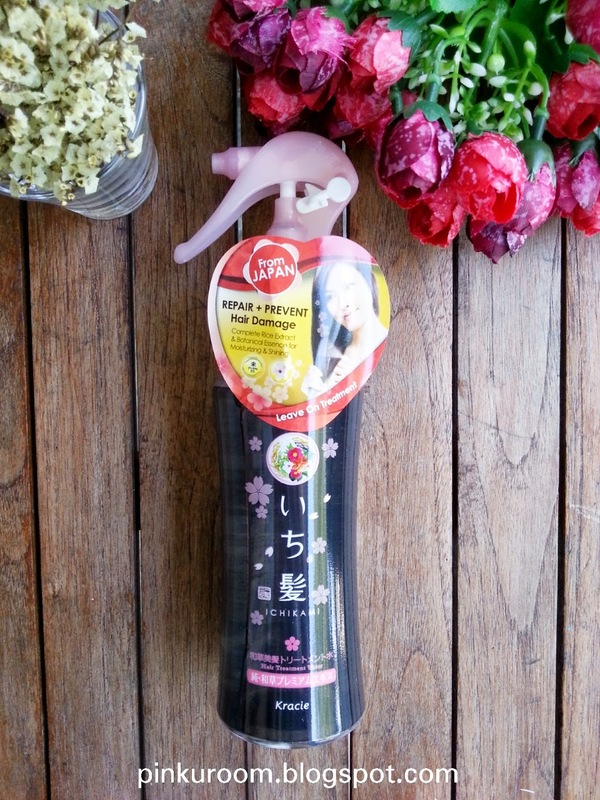 After you done shampoo-ing and use the contioner, apply this treatment to your hair in wet condition. Leave for about 5 minute and wash it. Have you tried this product range?